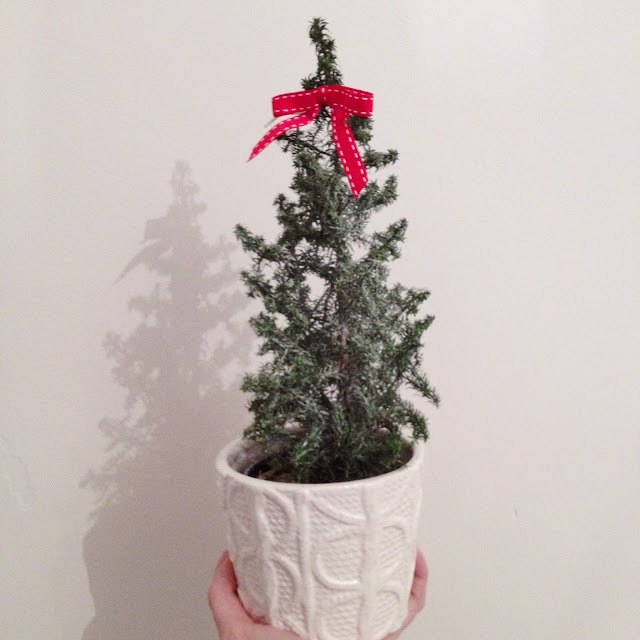 What Josie Did Next: LIFESTYLE | IT'S CHRISTMAAAAAAAS! I'm gonna miss this little tree when Christmas is over! I swear next year I'm just dumping everything in gift bags, wrapping is the worst chore! Although I'm happy I managed to get this done without spending too much and I think it looks kinda cute. Brown paper costs nothing and this year I waited til last minute to get all the ribbon and things, I usually rush to get it as soon as December hits and it costs a fortune. But it all goes half price just before the big day so I got them all cheaply, CLEVER ME! I don't know what to wear tomorrow, Christmas Day for me isn't really a time to dress up...if anything it's an excuse to slob out in my comfiest jimjams (as if I needed an excuse!) 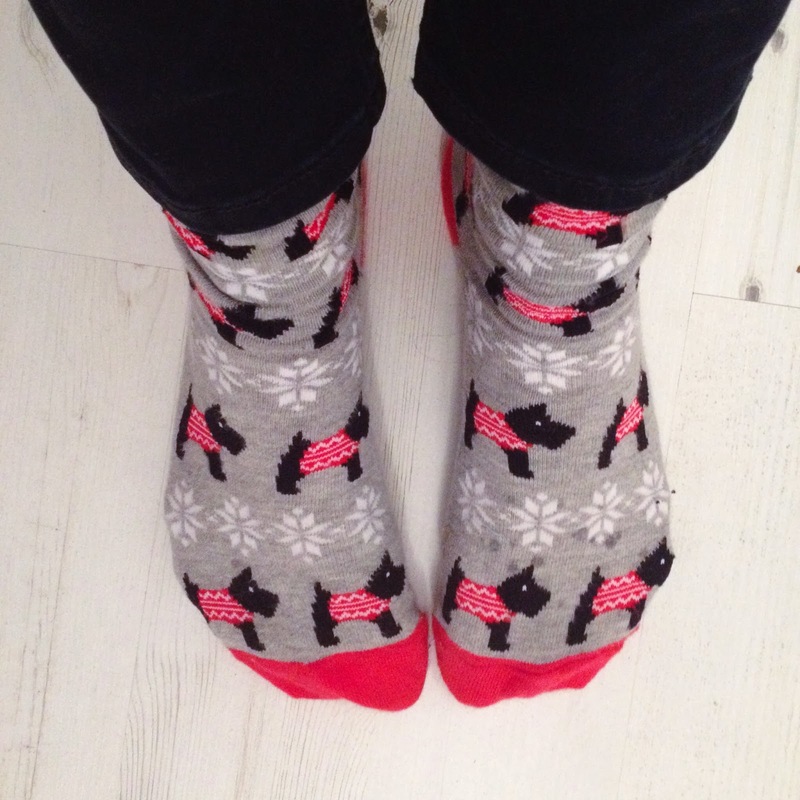 But I'll definitely have the Crimbo socks on, these were a present from my friend and they're perfect! Christmas doggies, what could be better? 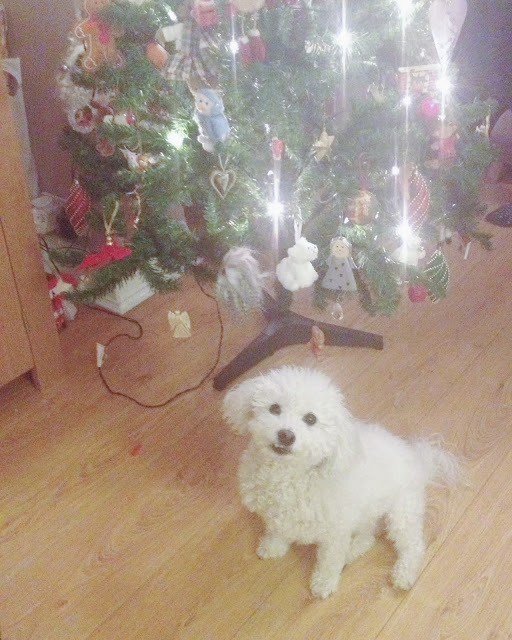 Finally here is my actual Christmas doggy, he's feeling better now I think. It's hard to leave presents under the tree because he thinks they're all for him but he'll get his own tomorrow morning...it's a bit of a liberty really because he never bloody buys me anything! Today is actually a month til his birthday, he'll get more presents then. And presents in April to mark the day we got him. And presents in between, every week, just because. Everyday is Christmas for this dog! - Merry Christmas to you girl :) I like your socks ! Merry Christmas Josie & Freddy dog! 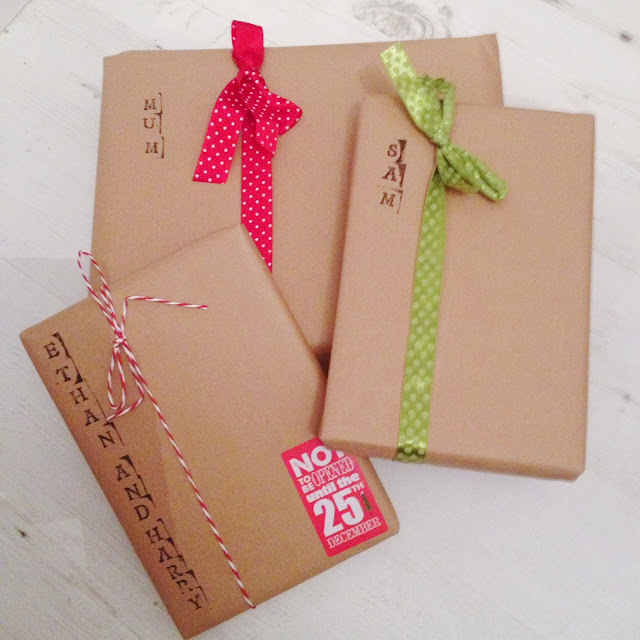 <3 I love brown paper on presents, it looks so simple but stylish. Merry Christmas to you and Freddy:) Good to hear he's better. And OMG! I love your brown paper idea. Aww love your Freddy, he is the cutest dog I have ever seen! Christmas Day I usually like to dress up but this year I was a total slob haha.. must say was quite nice not to make the effort! Love the name stamps - such a cute idea! Hope you had a great christmas. Nice pics and I wish you amazing holidays. Hope enjoy these days! I love these pretty wrapped gifts! And your socks are adorable! I just found your blog. It's very nice, keep it up! Such a cutie tree. Gift wrapping at any time of the year is bag, I just pop everything into gift bags now. Adore those socks and happy to hear Freddy is feeling better. Hope you're having a wonderful weekend hun!